for work performed on Ohio construction projects. Complete & review your Ohio lien document for free in 10 minutes or less. Why Use LienItNow for Ohio Lien Documents? Ohio's notice and lien process can be hard to navigate. When you have a lot of other things to get done on a construction project, you don't want to be spending time and money figuring out how to file a mechanics lien. LienItNow.com provides the construction industry online mechanics lien forms to help contractors, sub-contractors, and material suppliers obtain a security interest in the property owner's land, and secure the payment they've worked for. In three simple steps, anyone doing construction work in Ohio can complete a prelien notice or lien in only 10 quick minutes. Once a time-consuming process for construction companies, LienItNow.com makes filing your lien claims faster and easier than ever. LienItNow.com can also help you create bond claims, prelien notices and lien releases. What is an Ohio mechanics' lien Claim? 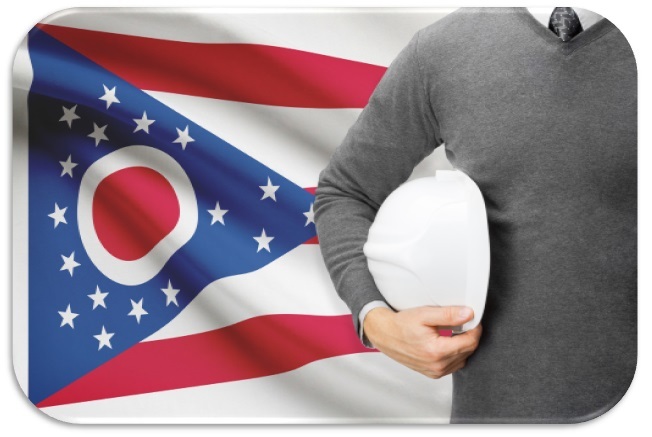 Statutorily created by the Ohio state legislature, Ohio's mechanics’ lien law was created to ensure that everyone who performs work on a construction project is paid for the work they perform. By permitting a lien to be placed on Ohio property, protection is provided to workers and suppliers on a construction project. But this protection only comes when a potential lien claimant complies with all aspects of the Ohio mechanics' lien law, and the lien on the property is properly filed. Ohio liens filed on private property or on funds relating to a public project are known as Ohio mechanic's liens. If an Ohio mechanics lien is filed with regard to work performed on privately owned property, it attaches to and encumbers the fee simple ownership of property, using that property as collateral for the overdue payment. If an Ohio mechanics lien is filed with regard to work performed on a public or government owned property, that lien instead secures the amount due the lienor by attaching to the fund of money which the public agency has allocated for a project. The reason for this is that in Ohio you cannot force the sale of publicly owned land (public agencies mean any county, city, town, township, public commission, public board or other municipality authorized by law to make contracts for the making of any public improvement in any city, town, township or other municipality). Who can file an Ohio mechanics' lien Claim? Contractors, as well as subcontractors, sub-subcontractors and suppliers who have a contract with a general contractor or a subcontractor can file an Ohio mechanics lien. Additionally, most material suppliers may file a lien on a construction project as long as the materials were supplied and intended to be used on the project, or were actually used on the project (including tools). If materials were specially fabricated for the project, but not delivered and not re-salable, then the supplier has a right to lien the project. Can an Ohio mechanics lien be filed on Public Projects? Yes. Ohio permits the filing of public improvement lien, which are filed on government run or owned construction projects. Are pre-lien notices for an Ohio mechanics' lien Claim required? LienItNow.com strongly recommends that all parties provide prelien notices for work they are performing on Ohio construction projects. A prelien notice often allows for speedier payment because the owner has knowledge of project participants. In Ohio, subcontractors, including those who contract with or supply to direct subcontractors, should file a Notice of Furnishing within 21 days after their first work in order to preserve their Ohio construction lien rights. The same is true whether the project is a private project, residential project or a public improvement. Note that an Ohio notice of furnishing should be served on the person or company designated in the Ohio Notice of Commencement, if one is filed by the owner, as well as with any contractors that have a contract with the party giving notice, as well as anyone in that party's contractual chain. If a Notice of Furnishing is not sent within 21 days after the first work or materials is provided, the Ohio mechanics' lien may be limited to the the amount owed in the 21 days prior to the sending of the notice and thereafter. Can you file an Ohio Mechanics' Lien Claim without a pre-lien notice? Failure to send an Ohio Notice of Furnishing may severely limit a potential Ohio construction lien claim. While an Ohio lien on a property may be filed without a preliminary notice, the mechanics lien amounts are limited to the 21 days prior to the filing of the Ohio mechanics lien and thereafter. When should an Ohio mechanics' lien Claim be filed? Ohio strictly limits the amount of time there is to file a mechanics lien. Additionally, Ohio courts also strictly enforce the lien filing deadlines, and do not generally permit Ohio construction liens to be filed outside the time permitted by statute. An Ohio mechanics' liens on private property is perfected by the filing of an affidavit for lien, which must be filed within 75 days from the date on which the last work was performed. A copy of the affidavit must be served on the owner within 30 days after the filing. Ohio mechanics' liens with regard to public projects must be filed within 120 days of the last labor, work or materials are furnished. Ohio mechanics' liens with regard to residential property should be filed within 60 days of furnishing of the last labor, work or materials. Do I need a contract in order to file an Ohio mechanics lien claim? Contracts are important for many reasons, including ensuring that all parties have an understanding of the work being performed, the price for the work, and the rights and remedies available to the parties as they relate to the construction project. With regard to mechanics' liens, Ohio requires that the work be performed pursuant to a contract in order to secure a claimant's lien rights. The contractual requirement is meant to protect the owner and the potential lien claimant, potentially removing a dispute as to whether the work was authorized or the price agreed to for the work. How does filing an Ohio mechanics' lien Claim help me get my money? Think of an Ohio mechanic's lien as a way to obtain collateral. When you obtain a mortgage, the lender uses your house as the collateral to back the mortgage. An Ohio mechanics' lien works in much the same way: when work or materials are provided on a project, and payment is not made, Ohio permits the person who is owed money to use the property as collateral by allowing an Ohio lien to be placed on the property. On public projects, a mechanics' lien uses the fund of money that has been allocated for the public project as collateral, freezing that money until the lienor is paid. When should an Ohio release of lien claim be filed? Be careful when filing an Ohio release of lien: it may not be possible to reinstate the lien claim if payment is not made. Generally, it is good advice not to file a release of lien until the person or company who filed the lien has been paid the amount contained in its lien claim, or has come to an agreement that requires the lien claim to be removed from the property records. Only at that point should a release be filed. Can I file a Bond Claim on an Ohio Project? Bond claims can only be filed on a project where the owner, contractor or subcontractor have obtained a payment or performance bond to ensure that every contractor receives payment for the work performed on the Project. The payment bonds issued by sureties for construction projects in Ohio have specific timing requirements, but most require claimants to submit claims against the bond within sixty to ninety days from the claimants' last date of work. Bond claims can be as or more effective than a lien claim because the payment bond acts as a guarantee that payment will be made for work properly completed. Do I need to send a preliminary notice to make a claim against an Ohio payment bond? Depending on the terms of the payment bond, preliminary notices may or may not be required. LienItNow.com recommends that, prior to or immediately after starting work or delivering materials to a Ohio construction project, subcontractors and suppliers, send a preliminary notice to the bonding company and the bond's principal (the person who obtained the bond), that it is a potential beneficiary of the construction project's payment bond.